“He’s very client-focused, very able and tactically very good." He has experience of the full spectrum of serious injuries, especially brain, spinal, obstetric and orthopaedic injuries of the utmost severity, including amputation. Fatal claims are also a particular area of expertise. During 2015, Rob was involved in Hicks v Young  EWHC 1144, a groundbreaking authority in intentional torts and Ramirez v Nature Port Reception Facilities Ltd, a complex fatal accident claim involving a challenge to the prevailing discount rate in Gibraltar, where he acted alone against Leading Counsel. Rob is instructed in catastrophic claims either as sole counsel or with Leading Counsel, for example as a team for JSM or trial. During the last year or so, he has worked alongside Robert Glancy QC, Stephen Killalea QC and Rob Weir QC. Rob also has a strong reputation in international personal injury and is instructed where there has been a serious accident or fatality abroad and in large group actions on behalf of disappointed holiday makers. Rob was appointed as a Deputy District Judge (civil) in March 2019. The leading legal directories have ranked Rob as a leading junior since 2009 (see 'Recommendations' below). Rob is recommended as "a good strategic thinker" with "an instinct for working out how things are going to play out". Previous editions have described Rob as "well prepared", "thoroughly committed" and “a talented barrister who is very good with clients". Rob is one of only 30 junior barristers recommended by the Spinal Injuries Association on its approved list of catastrophic injury barristers and one of only 3 called in or after 2000. Rob accepts instructions in almost all areas of personal injury work. He is presently instructed in accidents at work, asbestos-related litigation, accidents abroad and various public liability claims. He has particular expertise in fatal accident claims. Rob has a busy road traffic practice. He is involved in accidents that have led to fatality, amputation, or other serious injury, or where there are issues relating to the liability of the MIB or road traffic insurer. He has successfully concluded multiple head injury claims, those for amputees and many other maximum severity cases. Rob has also received instructions on behalf of high earning claimants. Recent clients have included a Pilot, Professor, Consultant Surgeon and Investment Banker. Rob does not accept instructions in claims with a value below £100,000, unless there is a particularly interesting point of law or procedure. He would expect to act without a leader in the vast majority of sub-catastrophic cases. Hicks v Young  EWHC 1144 (QB) Successful claim for Claimant who jumped from moving taxi and sustained very severe brain injuries. Groundbreaking authority on causation in intentional torts. Retained for appeal in April 2016. Led by Steve Killalea QC. Ramirez v Nature Port Reception Facilities Ltd (2015) High value, high profile fatal accident claim following explosion at the Port of Gibraltar. Liability and quantum in dispute. Challenge to prevailing discount rate in Gibraltar. Settled at mediation with adjusted discount rate. Acted alone against Leading Counsel. B v R (2015) Long term representation of a young woman with multiple injuries of the upmost severity (numerous fractures, incontinence, chronic pain, etc). First instructed 2011; liability compromised days before trial in 2013; claim concluded for £650k in 2015. Sole counsel throughout. A v National Grid Plc (2013) Traumatic brain injury and polytrauma to a young man who aspired to join the Fire Service. Settled a few days before trial for £900k. B v Aviva & Another (2013) Fatal accident claim following death of entrepreneur. Settled at round table meeting for £675k. G v Haden Drysys International Limited (2013) - Fatal Accident Claim arising from tragic death of Claimant’s husband from asbestosis. Complex issues of quantum. Compromised shortly before trial for £415k. Rob has acted in medical and dental negligence claims. He is instructed by many of the major firms including Irwin Mitchell, Pattinson & Brewer and others. EGW v York Teaching Hospital NHS Foundation Trust (2015) High value claim for child Claimant who sustained cerebral palsy due to negligence at birth. Settled Schedule alone. Compromised with Robert Glancy QC after a JSM. R v X Trust (2015) Delayed spinal surgery for developing cauda equina syndrome. Instructed on behalf of medical Professor. Liability denied. Case settled after proceedings served. H v X Trust (2015) Perforation of colon during gastrointestinal surgery leading to sepsis and premature death. W v X GP & Y Trust (2015) Failures to undertake adequate vascular examination leading to lower limb amputation. O v C University Health Board (2013) Negligent spinal surgery leading to causa equina syndrome. Led by Rob Weir QC. Large number of birth injury claims, both settled and ongoing. Chambers UK 2016 singled out Rob as a barrister noted for his expertise in cases involving injuries abroad. Rob is comfortable with the full range of jurisdictional issues and has acted in cases involving disputes arising from, for example, direct rights of action against a foreign insurer, service out of the jurisdiction, and choice of law contests. In group actions, Rob enjoys rolling up his sleeves and working in a team with his Solicitors. He is experienced in relation to accidents at sea and in resorts. Bradie Perkins v TUI UK Ltd (2016): high value claim for life-threatening conditions developed by a teenager while on holiday in Turkey. He contracted e.coli, Giardiasis and the kidney condition HUS which were attributable to the hotel's negligence. The claimant has been awared a six-figure out-of-court payout by the travel company, offering him peace of mind in the event of future kidney failure. The case was widely reported in the national press. C v R S Holidays (2015) Claim for young woman who developed arthritis allegedly as a result of gastric illness contracted on holiday in Egypt. C in work. Polarised expert evidence on causation and prognosis. JSM unsuccessful but case settled shortly after PTR. Emslie v RII, Inc (2015) Spinal injury (tetraplegia) in roll over of an ‘all terrain vehicle’ that C claims was unsafe to drive on a slope. Previous proceedings in America. High value, cross-jurisdictional, catastrophic injury claim. Led by Stephen Killalea QC. F & 40 Others v TUI UK (2015) Group action for illness at hotel. A & 275 Others v A Tour Operator (2013) Large group action for illness abroad. X v Y Association (2012) – Tetraplegia to young man following in diving accident in Baltic States. Liability and quantum compromised. Led by Stephen Killalea QC. Rob is a member of TATLA. Rob has received instructions in multiple brain injury claims, ranging from catastrophic injury to subtle brain injury and post-concussion syndrome. Rob is in demand as Junior Counsel in catastrophic brain injury claims. He is distinguished by having been led by every personal injury Silk in Chambers. K v A (2014) Traumatic brain injury. Settled at JSM for a provisional award of £750k. M-F v S (2014) Subtle traumatic brain injury. Settled at JSM in November 2014 for £375k. A v National Grid Plc (2013). Traumatic brain injury and polytrauma to a young man who aspired to join the Fire Service. Settled a few days before trial for £900k. 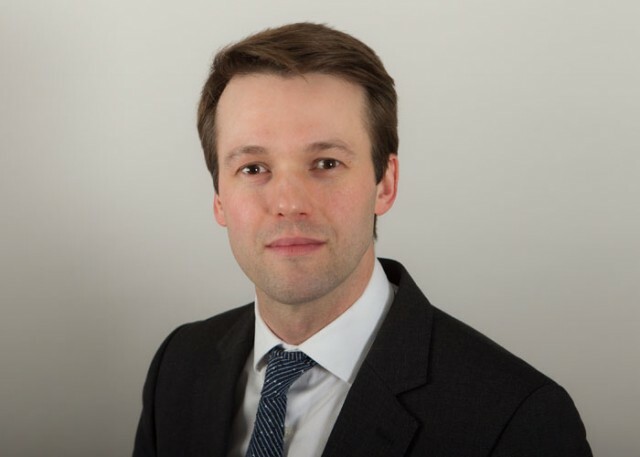 Rob is one of only 30 junior barristers recommended by the Spinal Injuries Association on its approved list of catastrophic injury barristers and is one of only 3 called in or after 2000. Rob is distinguished by having been led by every personal injury silk in Chambers. Emslie v RII, Inc (Ongoing) Spinal injury (tetraplegia) in roll over of an ‘all terrain vehicle’ that C claims was unsafe to drive on a slope. Previous proceedings in America. High value, cross-jurisdictional, catastrophic injury claim. Led by Stephen Killalea QC. X v Y Association – Tetraplegia to young man following in diving accident in Baltic States. Compromised at limit of insurer's indemnity. Led by Stephen Killalea QC. Rob lectures when invited. Last year he delivered a 3-part series on quantum. This year he has spoken on fatal accidents, disclosure, brain injury (in a clincial negligence context) and covert surveillance. Appropriately enough, the latter was the subject of his first webinar.